WORKMAN, JOSEPH, physician, merchant, politician, teacher, and asylum superintendent; b. 26 May 1805 near Lisburn (Northern Ireland), son of Joseph Workman and Catharine Goudie (Gowdie); m. 30 May 1835 Elizabeth Wasnidge in Montreal, and they had seven sons and three daughters; d. 15 April 1894 in Toronto. Joseph Workman could trace his ancestry back to a 17th-century Puritan divine; the Reverend William Workman of Gloucester, England. A staunch opponent of Archbishop William Laud, William had been excommunicated from the Church of England. His son William served with Oliver Cromwell’s army in Ireland and received a liberal land grant there. 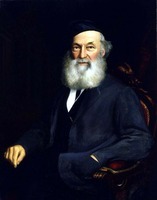 Joseph Workman, the doctor’s father, was a teacher. Shortly after the American Revolutionary War he immigrated to Philadelphia where, for three years, he was a college English master. He returned to Ireland about 1790 and married Catharine Goudie, a native of Ayrshire, Scotland. They had one daughter and eight sons, of whom Joseph was the fourth. Joseph was taught first by an elder brother, Benjamin, and later attended a grammar school and an academy in the town of Lisburn. In 1826 he secured a position on the Ordnance survey of Ireland, where he remained for three years. Preceded by five of the Workman sons, young Joseph and the remainder of the family immigrated to Montreal in 1829. For the next five years he studied medicine at McGill College, a course that included medical lectures at the college, clinical work in the Montreal General Hospital, and private tuition from Dr John Stephenson*. 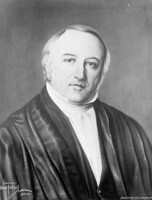 Workman graduated md from McGill in 1835, his thesis focusing on the topical subject of the Asiatic cholera. The young medical student based his conclusions on his own experience of this devastating disease which visited Montreal in the terrible summers of 1832 and 1834. Cholera, he concluded, contrary to much of the best medical opinion of the time, was a contagious disease. Shortly after graduation, Workman married Elizabeth Wasnidge, a native of Sheffield, England, at St Gabriel Street Church (Presbyterian). The young doctor set up practice in Montreal but within a year the sudden death of his wife’s brother necessitated a change of career. In 1836 he took over his brother-in-law’s hardware business in Toronto, and he was soon joined by his brother Samuel in operating Workman Brothers and Company at 36 King Street, opposite St James’ Church. 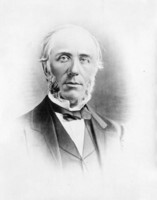 Like his brothers Thomas* and William*, who were partners in a Montreal hardware firm, Workman was an enterprising and successful businessman, as his election to the vice-presidency of the Toronto Board of Trade in the mid 1840s testifies. He also became involved in the volatile politics of those years, being an articulate and outspoken champion of the Reform cause. He often wrote barbed political comment for such Reform papers as the Toronto Mirror, earning a reputation among his political foes as “the most bitter and reckless slanderer that ever handled a pen.” He was alderman for St David’s Ward from 1847 to 1849, served on the commission appointed by the government to investigate the affairs of King’s College [see Robert Easton Burns*; Henry Boys*], and in 1850 was the first chairman of the city’s Public School Board. In 1853 his career again took an abrupt turn. He was appointed temporary and then permanent medical superintendent of the recently opened Provincial Lunatic Asylum in Toronto. It was his friend and colleague Rolph who had secured him the appointment. Rolph, whose Reform pedigree stretched back to the days before the rebellion of 1837–38, was now an influential member of the Reform ministry of Francis Hincks* and Augustin-Norbert Morin*. The asylum had become an acute political embarrassment to the government. Rolph chose Workman to sort out the “asylum intrigues” that had plagued the institution during its short but turbulent history. The permanent asylum opened, prematurely, on 26 Jan. 1850 with only the two front wings completed. The new premises brought little relief for the inmates. 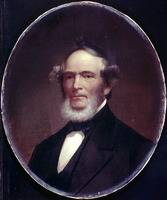 Despite pleas from such prominent citizens as George Brown*, the editor of the Globe, that the “old machinery” not be transferred to the new building, the government brought in no “new commission for its better management.” Not surprisingly, Dr John Scott*, appointed superintendent in 1850, soon found himself in conflict with the asylum board chaired by Dr Christopher Widmer*. For a time he was shielded by his father-in-law, the Reverend John Roaf*, an influential member of the board. But even Roaf could not save him when charges surfaced in the Toronto press that Scott had turned “the lunatic asylum into a Dissecting Room” for medical students. The government’s “Act for the Better Management of the Provincial Lunatic Asylum at Toronto” went into effect on 14 June 1853 and Scott resigned his post on 1 July. It was against this background of administrative chaos, professional incompetence, and neglect of patients that Workman assumed the interim superintendency of the troubled institution in 1853. His powers were greatly enhanced by the asylum act, which reduced the board’s size, independence, and control over the asylum’s day to day affairs and vested the power to hire and fire the “Keepers and Servants” in the superintendent alone. Workman moved swiftly to clean up, in a quite literal sense, the mess his predecessors had left. Among his first unenviable tasks was to oversee the removal of “the most foul and enormous cesspool” which, because the builders had failed to connect the drains to the main sewer, had built up to a depth of three or four feet under the basement. With Workman’s firm administrative hand, order and efficiency were soon restored in all departments. The Toronto asylum became recognized as a model institution, much praised both in Canada and abroad (in 1854 an asylum with similar aims would be opened in St John’s under Henry Hunt Stabb). Workman received his permanent appointment on 1 April 1854 and was to remain at the helm for the next 21 years. When Workman assumed the superintendency he knew little about insanity and perhaps even less about the new methods of care and treatment for inmates. Indeed, his appointment smacked of that very patronage in the asylum service against which he was to rail so bitterly in later years. This said, Workman, like all of this first generation of physicians who became alienists (the term for specialists in the institutional care and treatment of the insane until “psychiatrist” came into use in the 1890s), had to learn his new profession on the job. He was no innovator: the theoretical perspective and therapeutic practice he developed closely reflected the prevailing psychiatric orthodoxy of the period. With the patient’s bodily health restored, Workman turned his attention to “the cure of the mental malady.” For this purpose he had recourse to an elaborate system of moral treatment. “Unvarying kindness, never-tiring forbearance, and undeviating truthfulness,” he declared in 1858, “are the cardinal moral agencies now employed in every well-conducted Lunatic Asylum.” When coupled with worthwhile employment, social entertainments, and religious instruction, all activities designed to divert the patient’s mind from a preoccupation with morbid thoughts and emotions, Workman confidently expected this treatment would produce the 90 per cent cure rates promised by early asylum promoters such as Charles Duncombe. His expectations were quickly to be dashed. “I was astonished,” he told the Association of Medical Superintendents of American Institutions for the Insane ten years after taking over the Toronto asylum, “that I could not make my results so satisfactory as appeared to be accomplished by my predecessors . . . my percentage of recoveries was low.” Here was the most troubling and indeed threatening problem for Workman’s generation of alienists. How, with the great expectations that had been built up in the public mind, were they to explain the asylum’s seeming inability to cure? And if asylums did not cure, what, if anything, was to replace them? For the remainder of his incumbency Workman was to wrestle constantly with these disturbing questions. The obvious and simplest answer was the one neither Workman nor his colleagues were prepared to countenance, namely, that the elaborate medical and moral therapies in which they placed such faith simply did not work in the majority of cases. To have accepted such an explanation would, of course, have been professional suicide. No profession could afford to admit openly that its knowledge base was flawed. Other reasons for the asylum’s failure to cure patients had to be found. Finally, Workman blamed his lack of success in effecting cures partly on “the indifference and parsimony of this Province.” Patients simply could not be properly maintained, let alone cured, on the “pittance” that passed for the “Parliamentary Grant” for the insane. Nor could cures be expected, he insisted, until the asylum’s two back wings were completed. Overcrowding – in 1853 there were 373 patients in the two front wings, a space originally designed to house about 250 – simply did not allow that proper classification of patients deemed one of the crucial ingredients in the moral treatment régime. “Abundant and timely provision for the treatment and care of the insane” was the issue over which Workman would battle with successive governments during the next 22 years. It was a battle he would ultimately lose. The years of the Workman superintendency witnessed the sudden emergence of the Canadian state, the establishment of a highly centralized governmental structure. And nowhere can this movement towards bureaucratic rationalization be seen better than in relation to public welfare and to the asylum service in particular. In the 1840s the temporary asylum had been overseen by an unsalaried local board of twelve who operated quite independently of the government. The Toronto Lunatic Asylum Act of 1853, modelled on the new Provincial Penitentiary Act of 1851, signalled a dramatic shift to government control and centralization. The asylum was now the responsibility of the crown and was to be overseen by a salaried, government-appointed board “of not less than four persons.” Four years later, in 1857, in a further move toward centralization, the penitentiary and asylum boards were amalgamated. The new Board of Inspectors of Prisons, Asylums, and Public Charities, which first met in 1859, was the first such board of public welfare in North America. The government’s intent was not unclear: to impose sound economy, efficiency, and uniformity on what had hitherto been a rather chaotic and increasingly expensive system of public institutions. At confederation in 1867, with “Hospitals, Asylums, Charities and Eleemosynary Institutions” passing to provincial jurisdiction, the province of Ontario took the final logical step, abolishing the old board and appointing a single inspector of prisons, asylums, and public charities. The first incumbent, John Woodburn Langmuir*, was fully to live up to the government’s central preoccupation with “sound political economy.” Guided by a decided commitment to “the strictest economy consistent with effective management,” Langmuir was to make Ontario’s welfare system one of the most efficient and cheaply run in North America. Workman’s elaborate and expensive scheme was met with polite silence by the board of inspectors. In July 1863, fed up with municipal authorities who continually dumped “confirmed incurables” on the asylum, Workman for the first time refused entry to four such women. The board’s response was swift: he was, in effect, censured. While the board admitted that asylum accommodation was not “quite adequate to our wants,” Workman was told in no uncertain terms to find room for the female patients, and to increase the capacity of the Toronto asylum from 350 to 400 beds. It was better “to expose the 350 patients who are already in the institution” to slight overcrowding, the board concluded, “than expose families, and society itself, to the dangers attendant on allowing lunatics, curable or incurable to go at large, in view of the frequent and dreadful occurrences of which they are the cause.” Society and its protection, not the insane and their cure, was the board’s overwhelming priority. The superintendent had taken his stand on the need for the Toronto asylum to return to the first principles of Philippe Pinel and William Tuke, the European founding fathers of the moral treatment asylum in the 1790s. He had lost. A personal set-back certainly, but his defeat can be read in more general terms as representative of the difficult road 19th-century alienists trod in their search for professional recognition and legitimacy. Unlike other physicians who through much of the century struggled to find a sufficient number of patients to keep their practices alive, alienists had an assured, indeed, captive patient population. And yet, ironically, their institutional base in the asylum, a source of strength, was also their greatest weakness. Alienists employed as asylum superintendents were salaried public employees subject to the whims and dictates of lay administrators and politicians who often had little sympathy for their professional aspirations. Only in the 20th century, long after Workman’s death, would psychiatry achieve a professional autonomy and respectability. A majority of psychiatrists would abandon the asylum and the insane for office practice and the more respectable and tractable neurotic patient. Psychiatry would redefine itself around new psychological theories, of which Freudianism has undoubtedly been the most prominent. Workman’s last years at the Toronto asylum were not altogether happy ones. On the one hand, Inspector Langmuir proved an able, if parsimonious administrator. By 1870 asylum accommodation in Ontario had been increased from 1,000 to 1,500 beds with the rebuilding of the old Rockwood Asylum at Kingston [see Charles Kirk Clarke*], the opening of a new 500-bed asylum in London [see Richard Maurice Bucke*], and, at long last, the completion of the Toronto asylum’s two back wings. Even with this flurry of construction, somehow the number of new cases seemed always to exceed the space available. Langmuir struggled valiantly to keep ahead of demand, instituting a building program of new “cottage-style” asylums, a compromise between Workman’s more expensive “primary” and “secondary” asylums, that saw both chronic incurable and curable patients managed in separate “cottages” within the same large institution. 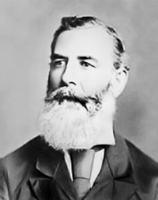 But by the time he retired, in 1882, even Langmuir had to admit defeat: the formulation of an effective, long-range asylum policy had eluded him. Over the next two decades successive inspectors would carry on in an incremental fashion; asylums were opened in Mimico in 1890, Brockville in 1894, Cobourg in 1902, and Penetanguishene in 1904, but each new institution was soon overcrowded and the need for asylum accommodation remained insatiable. Begun in 1850 with one institution and 211 patients, the Ontario asylum system grew to include eight large institutions housing some 6,000 patients by the beginning of World War I.
Joseph Workman retired from the Toronto asylum in July 1875 “for reasons understood by myself,” as he wrote in his diary. The real reason was undoubtedly Inspector Langmuir and the bureaucratic system he had instituted. While for public consumption Workman would write in the Alienist and Neurologist in 1884 that the inspector was his “protecting breakwater . . . my best protection against misrepresentation or revengeful slander,” he had grown increasingly restive under Langmuir’s heavy bureaucratic hand. Always outspoken and independent, he had begun to chafe in official harness. The 19 years after his retirement, during which he lived at his home on 113 Mutual Street, were happier ones. He received many honours: he was elected president of the Canadian Medical Association (1877), the Toronto Medical Society (1878), and the Ontario Medical Association (1881). In all these posts he was to be an ardent defender of medicine’s right to true professional status and autonomy. He enjoyed a reputation as an expert in psychiatric matters not only at home but internationally. He was the first Canadian alienist to be made an honorary member of the prestigious Royal Medico-Psychological Association of Great Britain. In Canada he was often called as an expert medical witness at criminal trials, where he argued passionately, but with little success, for a broader medical definition of insanity than the one allowed under the narrow legal construction of the M’Naghten rules. An accomplished linguist, he spent much time during retirement translating Italian and Spanish articles on psychiatry for publication in the leading North American medical journals. He lectured widely in Ontario and at the meetings of the Canadian Institute, and he published papers on a variety of subjects. He died on Sunday, 15 April 1894, in his 89th year, busy and engaged to the end. Unquestionably Canada’s most prominent 19th-century alienist, Workman was much admired in his lifetime, being known in his last years as “this Nestor of Canadian specialists,” in the apt words of the English alienist Daniel Hack Tuke. Canadian historians have, for the most part, continued this tradition of veneration. Workman has been cast in the unproblematic guise of the “lunacy reformer” par excellence. It was he who restored order out of chaos in the Toronto asylum and ushered in a new era of progress in the care and treatment of Canada’s insane. And yet while his personal integrity and dedication, his many acts of individual kindness to his charges, are easily documented, to see him simply as a disinterested physician, the champion of the hapless lunatic, is to miss the deeper significance of his career. Workman personified that dialectic out of which both the modern state and the modern professions such as psychiatry were forged in the 19th century. Government, for its part, appropriated the expertise of this emerging medical specialty, and its claim to the unimpeachable truth of science, to further its own purposes of “social control.” Increasing numbers of the deviant and dependent – many the casualties of the turbulent transition to industrial capitalism – were now given over to the supposedly disinterested benevolent “care” of the medical profession. Pressing social problems were, in effect, medicalized and thereby depoliticized. In return government nurtured and controlled fledgling professions such as psychiatry, applying the legal sanction of restrictive legislation to guarantee their monopoly over patients and their right to professional self-government. Joseph Workman was among this first generation of would-be professionals who created that uneasy alliance with the state that has continued to both bedevil and reward professional life in Canada to this day. Joseph Workman is the author of a number of articles and psychiatric case reports in the American Journal of Insanity (Utica, N.Y.), the forerunner of the American Journal of Psychiatry (Baltimore, Md. ): “Insanity in Canada,” 12 (1855–56): 141–46; “Cases of insanity illustrative of the pathology of general paralysis,” 13 (1856–57): 13–24; “Notes of a visit to lunatic asylums in Great Britain and Ireland,” 16 (1859–60): 278–94; “Notes illustrative of the pathology of insanity,” 17 (1860–61): 1–18; “Case of moral mania?” 19 (1862–63): 406–16; “On certain abdominal lesions in the insane,” 20 (1863–64): 44–60; “Insanity of the religious-emotional type, and its occasional physical relations,” 26 (1869–70): 33–48; “Demonomania and witchcraft,” 28 (1871–72): 175–93; “Case of Erastus Hotchkiss,” 32 (1875–76): 405–19; “Narcolepsia,” 37 (1880–81): 294–99; and “Moral insanity – what is it?” 39 (1882–83): 334–48. His remarks at the 1863 meeting of the Association of Medical Superintendents of American Institutions for the Insane appear in its proceedings in vol.20 of the Journal. Workman’s contributions to other medical journals include “Observations on insanity” and “Cholera in 1832 and 1834,” Canada Medical Journal and Monthly Record of Medical and Surgical Science (Montreal), 1 (1864–65): 401–12 and 2 (1865–66): 485–89 respectively; “A description of the pestilent condition of the Toronto lunatic asylum in 1853 and the means adopted to remove it,” Sanitary Journal (Toronto), 2 (January 1876); “Insanity and crime,” Canada Lancet (Toronto), 9 (1876–77): 16–21; and “The public care of the insane and the management of asylums,” Alienist and Neurologist (St Louis, Mo. ), 5 (1884): 492–501. In addition, two of his addresses to the medical section of the Canadian Institute were published in the Canada Medical Journal, 6 (1869–70): 205–11 and 289–95; his translations of some 19 articles on psychiatry appeared in the Canada Lancet between 1880 and 1890. A photograph and bust of Workman are in the possession of the Academy of Medicine (Toronto). The academy also holds a typescript copy of his diaries; the originals are at UTA, B80-0015. Academy of Medicine, W. T. Aikins papers. ANQ-M, CE1–126, 30 mai 1835. AO, RG 10, 20-B-4, esp. 1841–82; 20-B-5, esp. 7 June 1845; 20-B-6. Boston Medical Library–Harvard Medical Library, Harvard Univ. (Boston), Edward Jarvis papers, Workman to Jarvis, 1 Nov. 1855. Clarke Institute of Psychiatry Arch. (Toronto), C. K. Clarke papers. MTRL, J. G. Howard papers. NA, RG 5, C1. Can., Prov. of, Legislative Assembly, App. to the journals, 1849, app.M, app.III, app.BBBBB; 1854–59 (annual reports of the medical superintendent, Provincial Lunatic Asylum); Journals, 1841–66, esp. 1851; 1852–53: 412, 677, 1067–68; Parl., Sessional papers, 1860–66 (annual reports of the medical superintendent, Provincial Lunatic Asylum); Statutes, 1851, c.2; 1853, c.188. Canada Gazette, 1 April 1854. Ont., Legislature, Sessional papers, 1867–1920 (annual reports of the inspector of prisons and public charities, esp. reports of the medical superintendent of the Provincial Lunatic Asylum, 1867–70, and of the Asylum for the Insane, 1871–1920). U.C., House of Assembly, App. to the journal, 1836, no.30; Journal, 1830–40, esp. 1839: 8, 52, 119, 186, 226, 387. Benjamin Workman, “Asylums for the chronic insane in Canada,” American Journal of Insanity, 24 (1867–68): 42–51. Examiner (Toronto), 1849–52, esp. 27 Feb. 1850; 2–16 July, 12–19 Nov. 1851. Globe, 1844–54, esp. 31 Jan. 1850, 25 Nov. 1851, 24 March 1853. Toronto Mirror, 1846–48, esp. 2–9 Oct., 27 Nov. 1846; 12 March 1847. Upper Canada Herald, a Political, Agricultural & Commercial Journal (Kingston, [Ont. ]), 1832–37. Weekly Globe (Toronto), 8 Feb. 1850. Rainer Baehre, “From pauper lunatics to Bucke: studies in the management of lunacy in 19th century Ontario” (ma thesis, Univ. of Waterloo, Ont., 1976); “The ill-regulated mind: the making of psychiatry in Ontario, 1830–1921” (phd thesis, York Univ., Downsview [Toronto], 1985); “Joseph Workman (1805–1894) and lunacy reform: humanitarian or moral entrepreneur?” (paper presented to the CHA annual meeting, Montreal, 1980). Geoffrey Bilson, A darkened house: cholera in nineteenth-century Canada (Toronto, 1980). David Boyle, Notes on the life of Dr. Joseph Workman (Toronto, 1894). T. E. Brown, “‘Living with God’s afflicted’: a history of the Provincial Lunatic Asylum at Toronto, 1830–1911” (phd thesis, Queen’s Univ., Kingston, 1981). William Canniff, The medical profession in Upper Canada, 1783–1850 . . . (Toronto, 1894; repr. 1980). Michel Foucault, Madness and civilization: a history of insanity in the age of reason, trans. Richard Howard (New York, 1965). G. N. Grob, Mental institutions in America; social policy to 1875 (New York, 1973). H. M. Hurd et al., The institutional care of the insane in the United States and Canada, ed. H. M. Hurd (4v., Baltimore, Md., 1916–17; repr. New York, 1973). D. J. Rothman, The discovery of the asylum: social order and disorder in the new republic (Boston, 1971). A. T. Scull, Museums of madness: the social organization of insanity in nineteenth-century England (London, 1979). R. B. Splane, Social welfare in Ontario, 1791–1893; a study of public welfare administration (Toronto, 1965). H. N. Stalwick, “A history of asylum administration and lunacy legislation in Canada before confederation” (phd thesis, Univ. of London, 1969). D. H. Tuke, The insane in the United States and Canada (London, 1885; repr. New York, 1973). J. S. Tyhurst et al., More for the mind: a study of psychiatric services in Canada (Toronto, 1963). Rainer Baehre, “Origins of the penitentiary system in Upper Canada,” OH, 69 (1977): 185–207. T. [E.] Brown, “‘Architecture as therapy,’” Archivaria (Ottawa), no.10 (summer 1980): 99–124. Cyril Greenland, “Three pioneers of Canadian psychiatry,” American Medical Assoc., Journal (Chicago), 200 (1967): 833–42. C. G. Stogdill, “Joseph Workman, M.D., 1805–1894, alienist and medical teacher,” Canadian Medical Assoc., Journal (Toronto), 95 (1966): 917–23. Thomas E. Brown, “WORKMAN, JOSEPH,” in Dictionary of Canadian Biography, vol. 12, University of Toronto/Université Laval, 2003–, accessed April 26, 2019, http://www.biographi.ca/en/bio/workman_joseph_12E.html.